In the middle of the tangled geography of channels and islands of the southern Pacific there are a group of beautiful islands known as the Huichas. Here, set amongst lush rain forests and unpredictable waters, you can explore the tiny communities of Puerto Aguirre, Caleta Andrade and Estero Cup. Type of activity: Visit to the Huichas Islands. Distance: Depends on the circuit that you choose but you can explore all of the populated areas of the Island walking no more than 3 – 5 kilometers. Duration: 2 - 3 days, plus 8 hours round trip, navigating. Special Considerations: There is no fresh water in the Huichas Islands. Habitants collect and use rain water (which is frequent), however, taking a shower is almost impossible. Plan accordingly and please, conserve your use of the limited water available. Carry your rain gear – you will need it! Hostal Don Beña - Puerto Aguirre; (067) 2361248; (09) 93182392; bbalboa@live.cl. Cabanas Aysén - Puerto Aguirre; (067) 2361278; (09) 78031707 - 76419566; robertovando@gmail.com. Hospedaje Las Huaitecas - Puerto Aguirre; (067) 2361459; socialhuichas@gmail.com. Pachanca Kayak - Caleta Andrade; Christopher Cerda; (09) 92163339; Facebook: guacho.matero. The Huichas Islands are beautiful, teeming with native forest that extends from their highest points all the way to the sea. Here, there are plenty of hidden coves to explore, beautiful shell-lined trails to walk and lots of interesting people who love sharing their crafts and traditions with curious visitors. 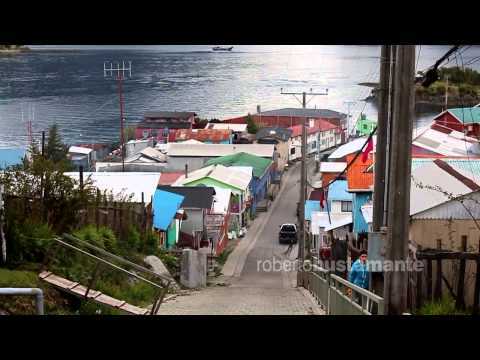 The most direct way to reach the Huichas Islands is from Puerto Chacabuco, aboard the “Shaker”, which departs from the Emporcha Artisan Fishing Docks, or the Naviera Austral ferry, which departs from the Ferry Terminal, as part of the Cordillera Route. Either way, you’ll navigate approximately four hours between channels, fjords and landscapes filled with abundant native forests, before arriving at the docks in Puerto Aguirre. Here, you’ll find hostels, pensions, a couple of restaurants and bars and lots of fun adventures and excursions so plan to stay at least a couple of days! Depending on the day, you may arrive to what appears to be a quiet coast where the sea barely moves and the islands are perfectly reflected in its waters, but don’t be fooled! The water around these islands can turn rough, as rough as the open sea. That is why most of the people in these Islands live in Puerto Aguirre, Caleta Andrade and Estero Copa, all located along the southern side of the Island, which is protected from the strong winds. When you arrive in Puerto Aguirre, you’ll likely be a bit amazed at the ingenuity locals have shown with the manner in which they have built their homes into the steep slopes in the middle of dense native forest. It’s amazing what you can figure out in order to keep safe from gale-force winds! The residents of these islands LOVE the sea and their independence. They don’t mind living in isolated conditions because they are brave, resourceful and self-sufficient. Early settlers arrived more than 100 years ago, from Chiloé, in search of Guaitecas Cypress. They found plenty and much more in these islands and waters. Over the years the primary economic activity has shifted from forestry to small-scale fishing and the collection and production of smoked mussels, (there is a canning factory on the island), and more recently, salmon farming. There are several things to do in the Huichas. Walk around Puerto Aguirre and check out the local architecture, especially the hand-crafted wooden shingles, called tejuelas that are characteristic of the town. If you keep heading uphill, you’ll soon reach the highest point in the town, where you’ll be rewarded with a fantastic panoramic view of the nearby islands and fjords. It’s a great spot to rest for a while and put your camera to work! There is a great trail in Puerto Aguirre, called The Poza, located as you head out of town towards Estero Copa and Caleta Andrade. Keep watch on the right hand side for the small wooden gate marking the start of this beautiful trail lined with crushed white shells to mark your way, along with a series of informative panels that explain the flora, fauna and history of the Huichas Islands. You’ll pass through lush, dense forest before arriving at a pond, where there are quinchos to protect you from the frequent rain of the area. It’s a perfect place to prepare a picnic and await the frequent visits of local fauna like falcons and other local birds, river otters and even dolphins. It is truly a magical place to relax and observe in peace. Another fascinating experience awaits you along the waterfront in Caleta Andrete, where the traditional art of hand crafted boat building is still alive and well. You can watch and learn this trade, observing the beautiful work of Don Juan Guenten, who was born in Chiloé and began building boats and sailboats at the age of 13, with his father. He uses Guaitecas cypress, which is abundant in the Huichas Islands, because it is the most water resistant of native woods. Kayak excursions through the small channels between the islands are also possible to arrange along this waterfront. Get ready for a close up view of dolphins and hundreds of seabirds. 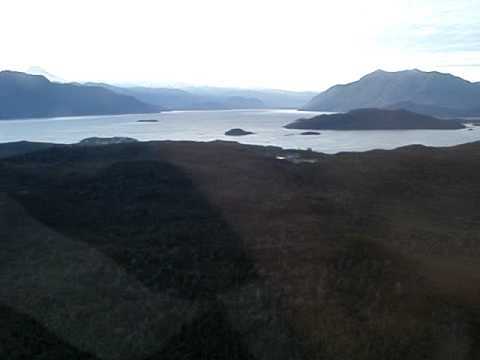 There are two boats that travel regularly between Puerto Chacabuco and the Huichas Islands, the Jacaf ferry owned by Naviera Austral ((067) 2351493; www.navieraustral.cl) and the Shaker, owned by Juan Halabi ((067) 2333609; aysénmotors@gmail.com). Both ships travel only a few times per week and have limited space so, reserve in advance and buy round trip tickets. Despite their enormous size, the blue whale is not easy to sight; but it is not impossible either. The stormy seas of the Corcovado Gulf are considered to have the greatest rate of blue whale sightings in the entire southern hemisphere. Excursions leave from Melinka and the exclusive Jechica Island resort. Up for the challenge?